Carpathian salt, the white gold of the Carpathians, was formed more than 200 million years ago through the drying-out of a primeval sea as a result of climatic changes. A uniform crystalline rock salt was produced under the high pressure of the great European mountain range. For over 3000 years, the salt has been has been mined in the up to 400 metres deep galleries. Some of the exhausted salt galleries are today used as healing galleries in which patients undergo curative treatment. Carpathian salt is distinguished by its natural state. This natural salt, protected from environmental pollution, completely untreated and without industrial or any further refinement treatment, comes onto the market from deep inside the mountain. Not only is the structure of Carpathian salt exceptional, but also its unusually high ratio of calcium. The Carpathian salt contains over 84 different minerals and trace elements, the ratio of minerals is c. 2.5 per cent. 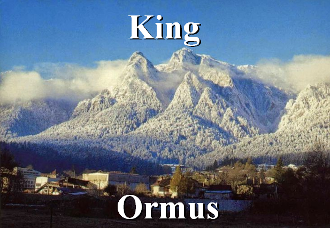 Locally collected Ormus minerals made with gourmet King Salt, Dead Sea Salt, and harmonically structured water.